To be a successful investor in today’s chaotic, time-constrained environment, you need to be a rare kind of thinker. The good news is... you don’t have to be born with this skill. It’s something you can start doing today. I’ll show you how. Three years ago, I was at my desk in Dallas when I got an email notification (one of hundreds that day). Like you, I am always fighting the rising tide of my inbox. It is possibly the biggest driver of what the kids call fear of missing out in my life... A constant buzzing in the background, a worry that among the “unread” emails lies a true gem. ... And this time was no different. It was a piece that set me thinking long and hard, and I immediately sent it out to the members of my private readers’ circle. There are just two types of thinkers in this world, Howard said—going against the modern trend of splitting everything into countless minute categories. These thinkers may be very much alike in many ways but one. Type 1 thinks superficially and sees the world simplistically. The “first-level” thinker swallows headlines whole and takes advice—unquestioningly—from talking heads. He is condemned to be, at best, an average investor. Type 2 thinks thoroughly. The “second-level” thinker, says Howard, “takes a great many things into account,” and his thinking is “deep and complex.” Because his (or her) thinking is of a better quality, they have the chance to be an above average investor (and, I personally would argue, an above average person). Because in 2019, we’re being bombarded with snippets, headlines, flashing signs, anything to try and get our attention. That, my friend, is heaven for first-level thinkers. It’s seductively easy for people to feel like all this information makes them wonderfully well-informed... forgetting that information is not the same as knowledge. I’m not content to be an average investor and I feel certain you aren’t either. That means we must all strive to be second-level thinkers, but how do we do that in a first-level world? In your battle with information overload, you may already have tried to edit what you see—maybe by unsubscribing from emails or only reading certain outlets. This is an understandable step but one that risks accidentally creating an echo chamber. Perhaps you’ve even tried to stay away from information sources altogether... but then, your thinking could stagnate. Personally, I learn by tossing info from multiple sources together, blending them and extracting new ideas and conclusions. So, retreating from the information tidal wave is simply not an option. Today, I’m happy to invite you to join Over My Shoulder. Each week, a staggering amount of top-level research crosses my desk. Much of it is sent to me personally by my friends and associates at the highest levels of the world’s most successful money management and investment research firms. It’s research that is either painfully expensive, or simply not available in the public domain. When I read something particularly special, I simply hit “forward” and sent it to subscribers, along with a note. This has been a remarkably successful format for readers, who say that the variety of articles and writers is an easy way to stay well-informed without having to spend hours on their own research. Over My Shoulder is designed to give readers a rigorously curated service, more context, and plenty to think about. One of the finest analysts and thinkers I know, Patrick Watson, has joined me on board Over My Shoulder. I’ve known him for around 30 years; we have worked directly together off and on all that time, and have always stayed in close contact. He is prodigiously talented, has an insatiable appetite for knowledge, and nobody.... I mean nobody sees around corners like this guy. Patrick and I discuss each potential article to ensure it meets the exacting standards we set for Over My Shoulder. We then spend some time analyzing each piece in order to lay out its key takeaways for you, as well as a brief summary. With Patrick co-helming Over My Shoulder, the service’s reach is expanded dramatically. Over My Shoulder readers have always received the best of what I had time to read. With Patrick, you will receive the very best of what crosses both of our desks. An introduction written by Patrick or me, giving you a quick shot of why the article is useful or interesting. A brief summary of the article, for those occasions when you don’t have time to dig deep into it. Key takeaways, giving you our opinions and conclusions (which may of course be very different from your own). The beauty of Over My Shoulder lies in its simplicity. Patrick and I want to clean up your research process, not complicate it. More knowledge, less noise. 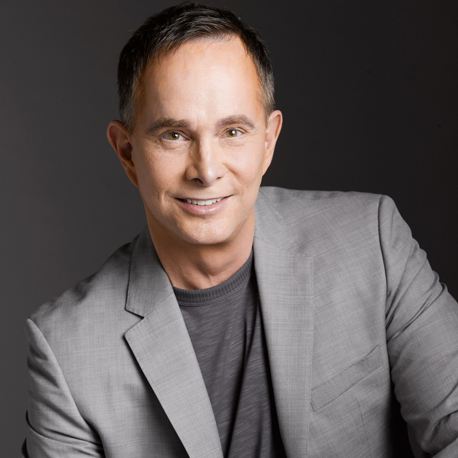 The point of Over My Shoulder, of course, is to bring you high-level research, data, and opinion from a broad range of sources around the world, and in doing so, give you the tools you need to fuel your thinking and strengthen your investing strategy. But we do have a list of wonderful thinkers whose work we will send to you regularly. Some of them are quite frankly either private or very expensive subscription services. I get permission to use the ones that aren’t public. The list is simply too long to publish here, but I can tell you that it includes Grant Williams, Louis Gave, Sam Rines, George Gilder, George Friedman, and many, many more. Some of what you will receive will be expensive, high-end research that is only available to a select few... and some of it will be freely available online, but from sources you might miss in the waves of information striking us all. The point is that Over My Shoulder is carefully curated for you in a time-efficient way. It is, in my opinion, one of the finest educational services around. Where else could you access the work of these exceptional people regularly? Will You Join My Private Readers’ Circle? By now, you’re probably wondering how much joining Over My Shoulder will cost. Admittedly, it’s a tough service to place a value on. Many of the articles I send you are from services that cost hundreds... thousands... or even tens of thousands of dollars. And they’re just the ones you can stamp with an actual monetary value. Much of what I send you is simply unavailable to the general public. Still, we must place a value on Over My Shoulder somehow, and strive to make it accessible to those who don’t want to regularly spend thousands on research. It is important to me that the cost of Over My Shoulder is not a hurdle for my friends... And I count those of you who have read my letters over the years as my friends. We have made it as inexpensive as possible. This ensures many thousands of people are able to add Over My Shoulder to their research arsenal. 3–4 pieces of research (occasionally more if required) each week from the great thinkers of today. They’ll be carefully vetted by Patrick and I, and arrive in your inbox with accompanying notes, takeaways, and summaries. Access to seven years of archives, including pieces from Stanley Druckenmiller, Grant Williams, Howard Marks, Ben Hunt, Lacy Hunt, David Zervos, Niels Jensen, Neil Howe, David Kotok, Robert Shiller, and many, many more. The weekly Charts that Matter supplement. And you’ll become a full-fledged member of Over My Shoulder for just... $14.95 per month. That’s $3.45 per week for three to four pieces of research which by themselves could cost you thousands of dollars. No matter what the joining fee is for new members in the future (and once you join, you’ll see that it is worth much more than $14.95 per month), your membership fee will never change. I’m confident you’ll agree with me that this is a truly wonderful deal. Another point—there is no “minimum term” of membership, or any other hidden terms or conditions. If you decide Over My Shoulder isn’t for you, you can cancel at any time and you will not be charged your next month’s membership. 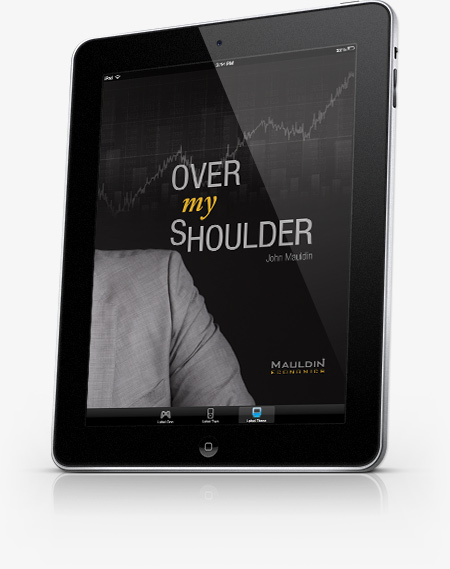 I’m proud of how Over My Shoulder has helped my readers become second-level thinkers and investors, and sincerely hope you decide to join us. I look at Over My Shoulder as a “preventative” solution against careless thinking and future, unpredictable events. One final note on the email I opened this letter with, Howard Marks’ discussion about second-level thinking. I sent that out to Over My Shoulder readers in 2015. If you’re interested in reading the entire note, you can just navigate to the September 2015 archives when you log in... immediately after you sign up by filling in the short form below. Thank you for reading, and thank you for all of your support. I truly do appreciate it, and hope that Over My Shoulder will help fulfill your needs as we continue to move through these tumultuous times. Over My Shoulder is not just a cost-efficient and high-quality solution to information overload, it’s a time-efficient solution, too. If you wish to streamline your information intake... prioritize knowledge over noise... raise the quality of your thinking on an ongoing basis... and get tools that can help you become a better investor, then Over My Shoulder is for you. Receive 3–4 pieces of research vetted by John and Patrick every week, giving you an elegant solution to information overload. Get the keys to the Over My Shoulder archives: Access the kind of financial library that would be difficult to put together even if you had unlimited time and resources. Lock in your special $14.95 per month membership fee: For as long as you wish to remain a member of my private readers’ circle, you will never pay more than $14.95 per month. Is this worth a couple of dollars and change a week to you? If your answer is “yes,” simply fill in the form below to get started. Note: If you decide Over My Shoulder is not for you, simply cancel at any time and you will not be billed the following month. If you are not 100% satisfied, simply cancel any time within days and get a full refund. Your satisfaction is our primary concern.